Oregon vehicle registration rules require all vehicles to be properly registered with the Oregon Department of Motor Vehicles. This applies to both new and used vehicles that were purchased from dealers or private parties. • You need to fill out and submit Form 735-226, or the Application for Title and Registration. This form as well as its instructions are available at any Department of Motor Vehicles Branch location or online through the Department of Motor Vehicle’s website. • Show the original Manufacturer's Certificate of Origin. • Prove compliance with the Low Emissions Vehicle requirement, or exemption show exemption from the requirement. Motor vehicles that are to this requirement include vehicles with 2009 model year or any newer passenger vehicles that have 7,500 or less mileage. This requirement is not applicable to hybrid, electric, or government-property passenger vehicles. • Odometer disclosure, which is usually on the back of the Manufacturer’s Certificate of Origin or with Form 735-403, the Secure Odometer Disclosure is required for the OR registration. • Choose license plates if you wish to have specialty or personalized plates, which is done during the OR registration process. • License Plate fees during the OR registration process. 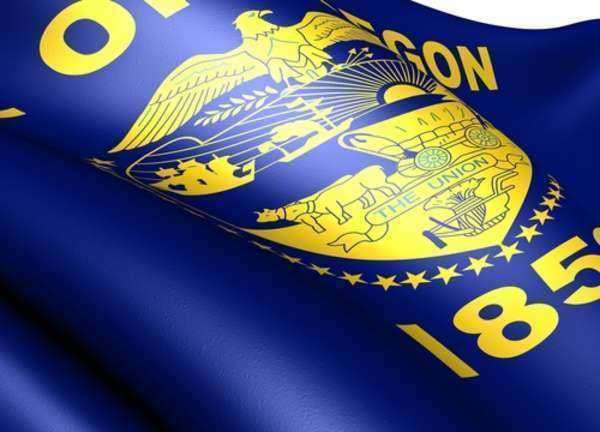 Checks and money orders can be made payable to the “Oregon DMV". It is important that Oregon Department of Motor Vehicles will only accept cash, checks, or money orders. They do not accept debit or credit cards.